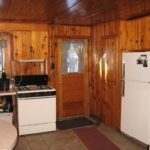 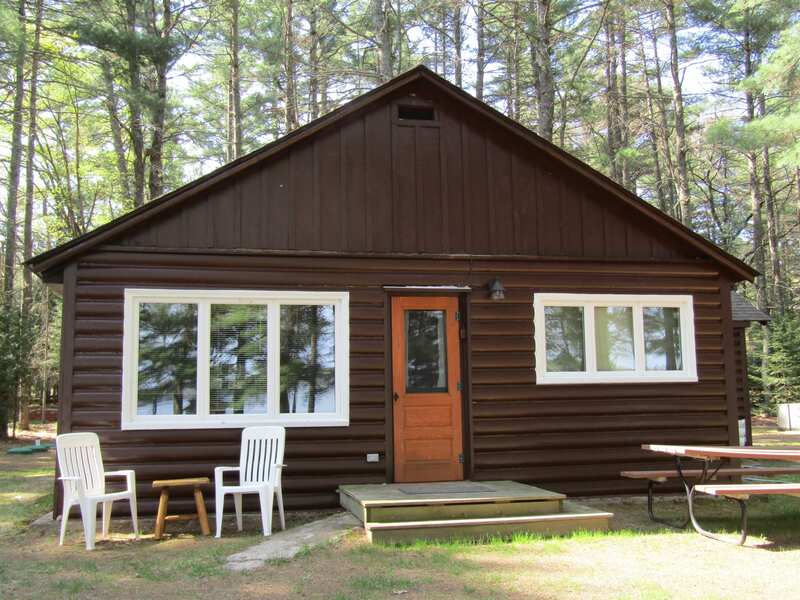 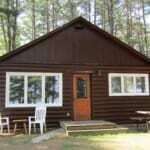 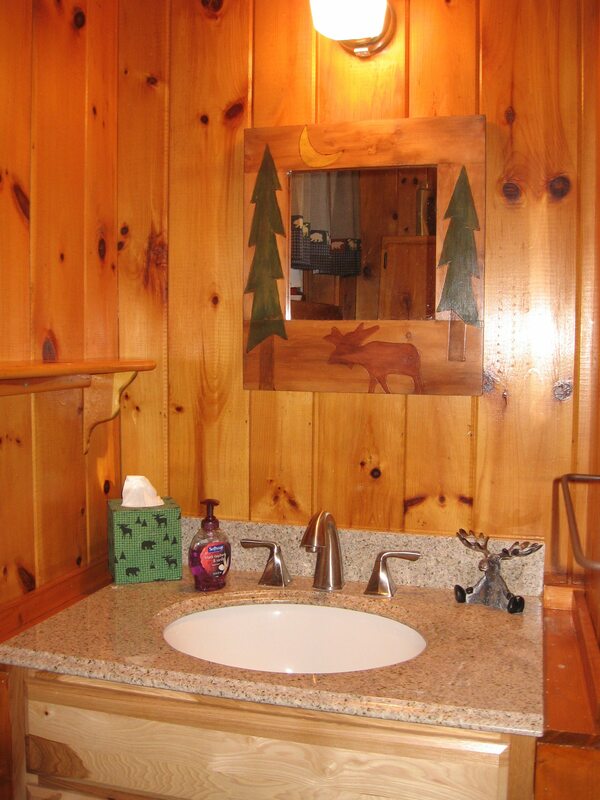 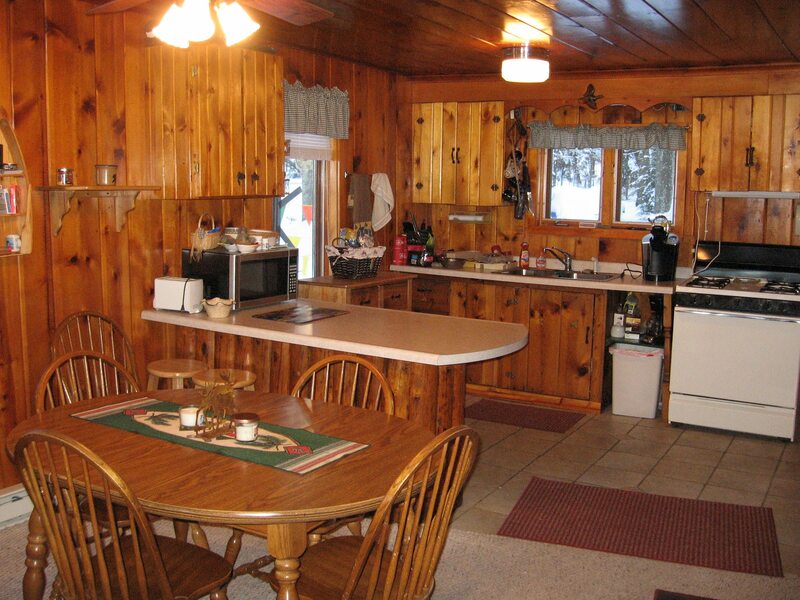 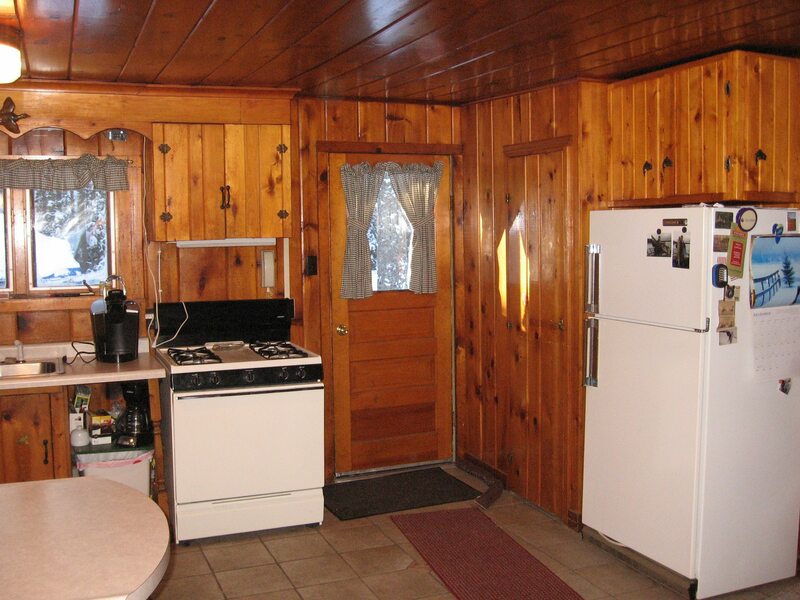 This 3 bedroom, 1 bath cabin is full of Northwoods charm. 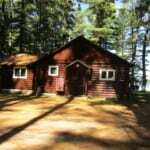 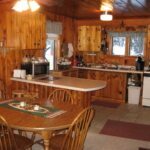 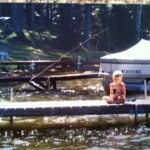 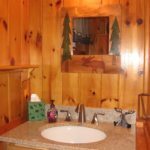 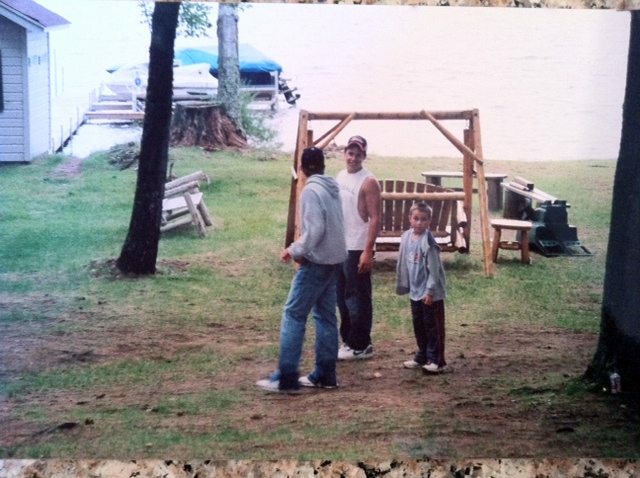 If you are in search of a comfortable cottage and great up-north fishing, you’ve found it at Lingering Pines on Lost Lake. 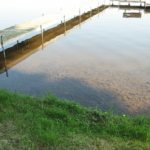 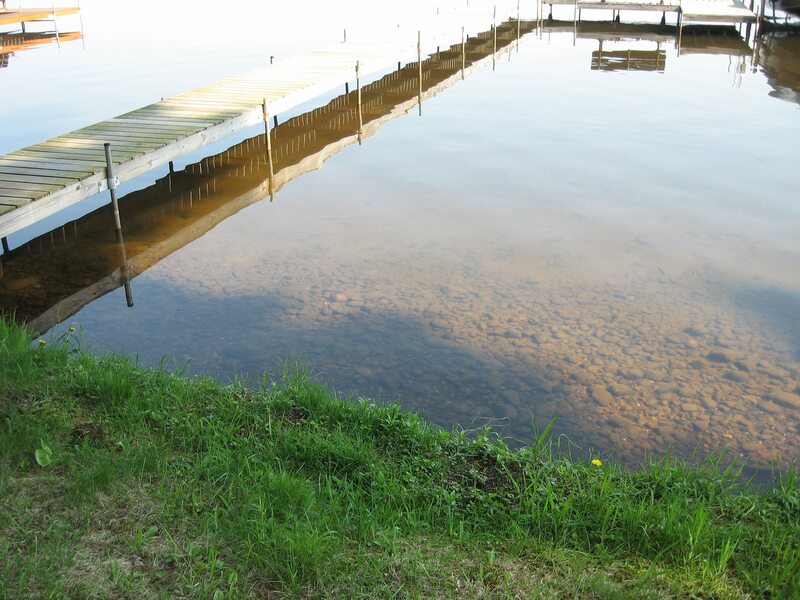 Lost Lake offers northern pike, walleye, largemouth bass and an abundant amount of muskie and pan fish. 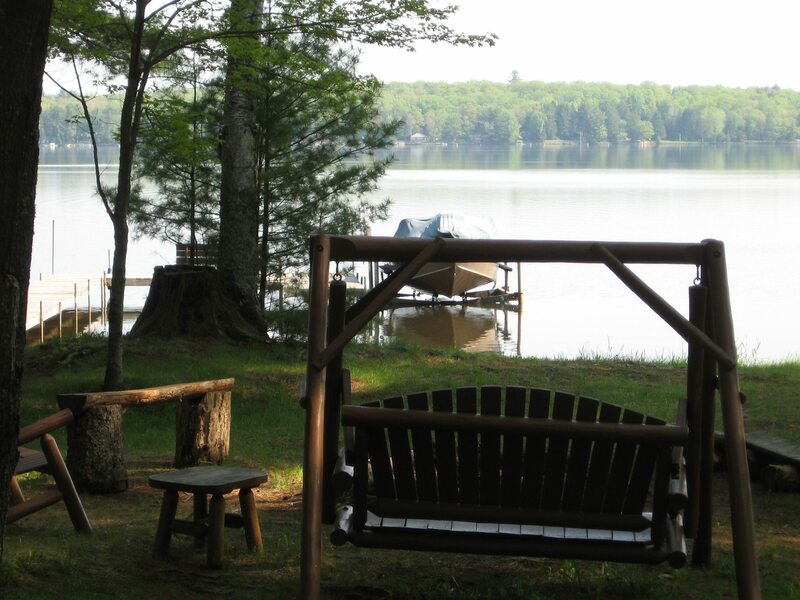 Rest and relaxation are unavoidable at this tranquil lakeside setting. 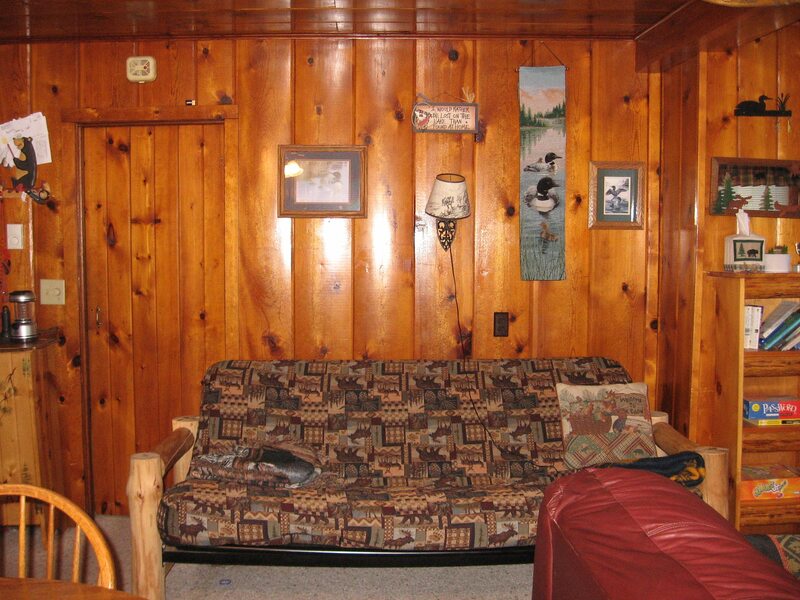 The 3 bedrooms include a king, queen and a full bed with a futon & pull out loveseat for additional sleeping. 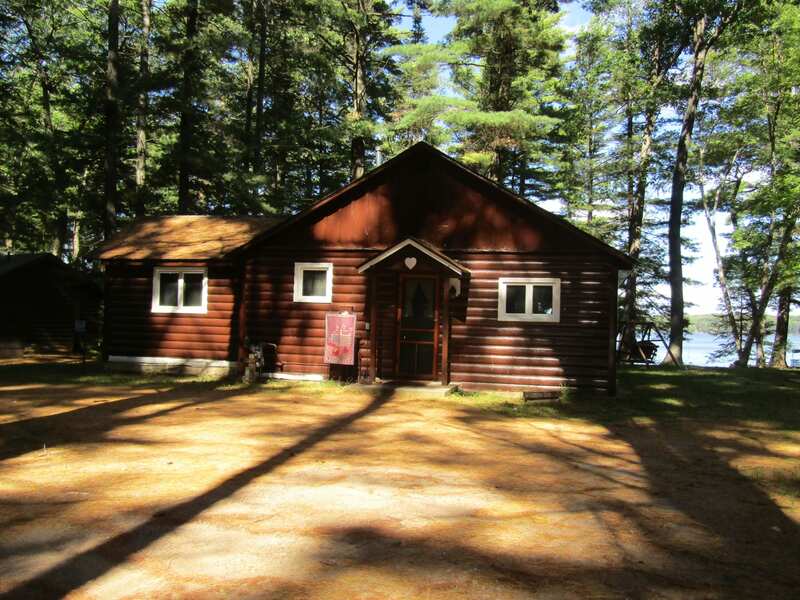 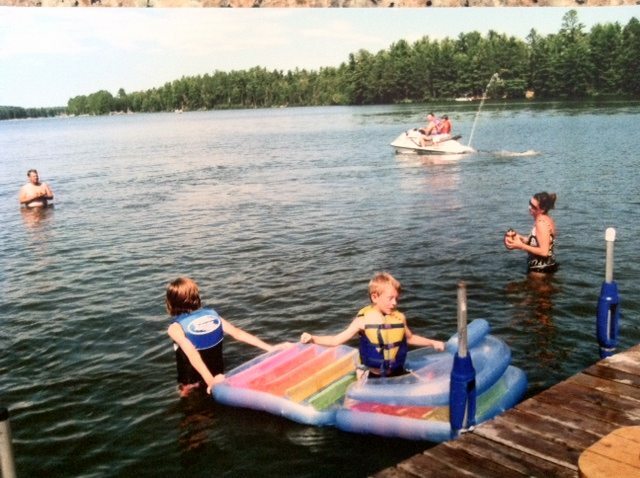 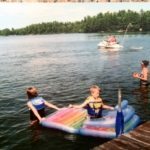 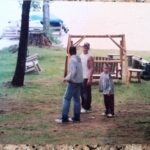 Amenities included are: private pier, lakeside campfire pit, 14’ aluminum boat, full kitchen, easy snowmobile trail access and level to lake. 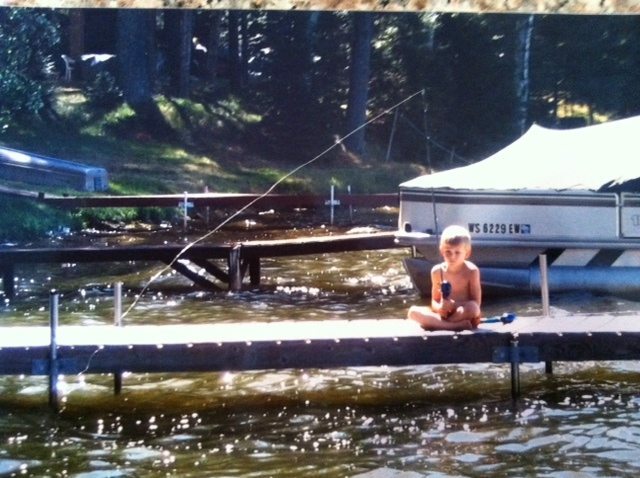 We also provide motor, 16.5’ fishing boat and pontoon rental. 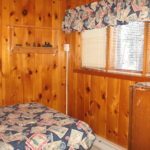 You have the peacefulness of the Northwoods but are only minutes from great dining, downtown shopping and many activities in the area for every member of the family. 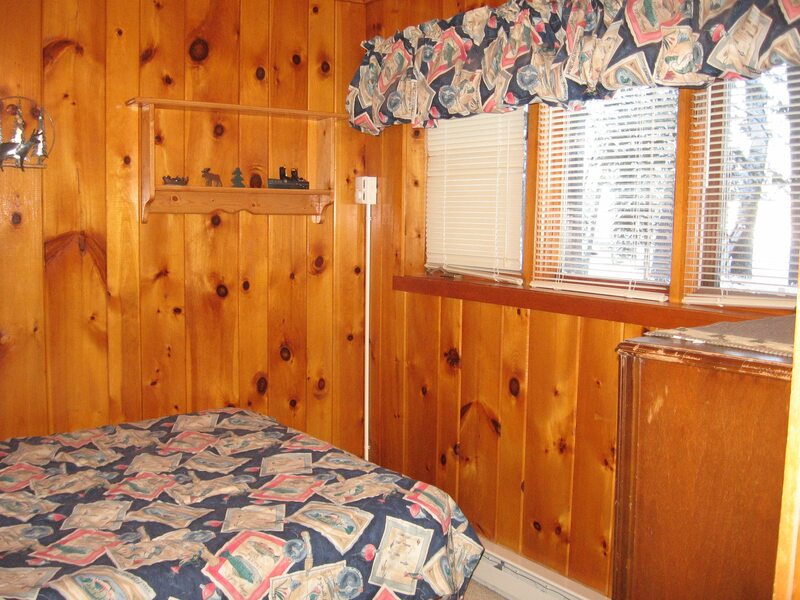 A perfect destination for vacations, come be our guest, let your mind unwind and return to a simpler time. 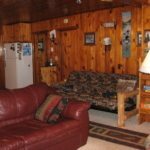 Extra person charge add $15 nightly or $75 weekly; 6 person maximum. 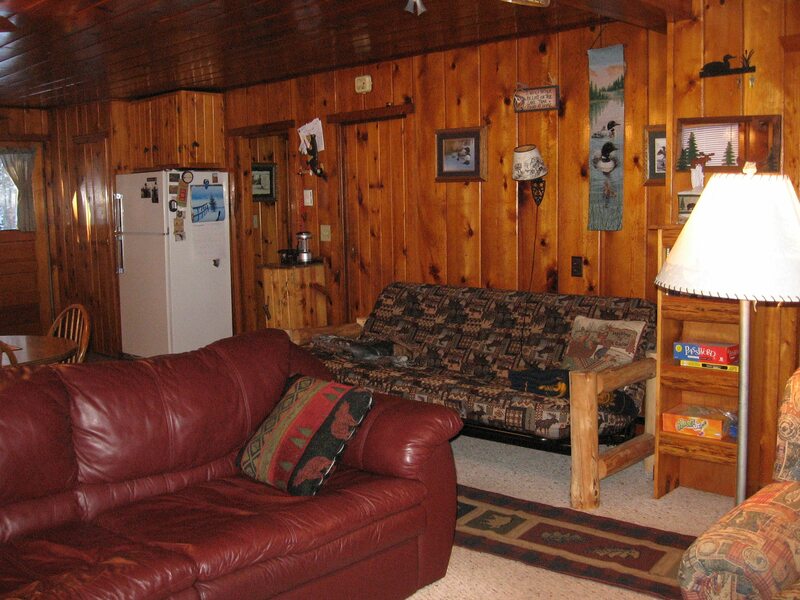 $400 deposit is required within 7 days to hold your reservation. 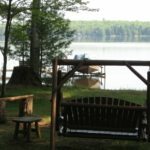 Deposits are refunded only if space is rebooked. 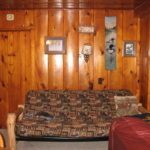 $50 office fee on any cancellation.